Kathleen Swaydan was born in Los Angeles and raised in South Pasadena. Her interest in drawing and painting started at an early age and was influenced by her grandmother, who was a talented, self-taught painter. In 1994 Kathleen returned to school to study fine art and art history and now holds two Bachelor of Arts degrees one in Art with an emphasis in painting and drawing, the other in Art History both from the University of Southern California. She also holds a Master of Arts degree in Italian Renaissance Art History from Syracuse University, New York. Since completing her MA in 2003, she has focused on making art.  She is a member of and exhibits with the California Art Club, Pasadena Society of Art , and Verdugo Hills Art Association. Her artwork has been exhibited in a solo show at MorYork, Highland Park, CA, and in group exhibitions at The Brand Library, Glendale, CA, McGinty Gallery in Altadena, CA, Jamison Gallery in Sierra Madre, CA, Towns-Burr Gallery in Burbank, CA and Segil Fine Art Gallery in Monrovia, CA; in addition she participates in a variety of local art fairs. A long standing appreciation of Renaissance and Baroque art has influenced my study and creation of art. In support of this appreciation I spent a year of study in Florence, Italy while enrolled in a MA Program at Syracuse University. Initially, I focused on the still-life genre not only because of its long history, but also because it provided an unlimited supply of subject matter that could be “set-up” and drawn to tell a story. My still-life compositions combine a variety of organic and non-organic , most of which contain a vessel or container the contents of which span the cycle of life and death. The majority of these compositions have been executed in graphite on paper. The tactile quality of graphite allowed me to build on the nuances of each surface represented by the objects that comprise my compositions. The transition to watercolor and pastel, not only allows me to continue "drawing", but also to incorporate color and ever changing vistas; vistas not unlike the variety presented in still-life compositions.